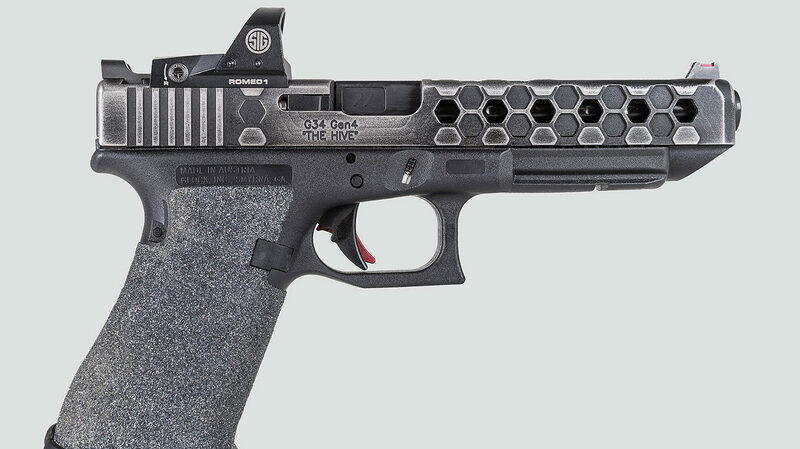 The Glock MOS (Modular Optic System) is Glock’s first venture at making optic ready pistols. Currently, Glock manufactures 10 pistols in the MOS series. These pistols are made so that you can mount optics easier while still having the option of back up iron sights if the optic fails. With the MOS system, you can mount the sight you want quickly and easily with the use of only a few tools. 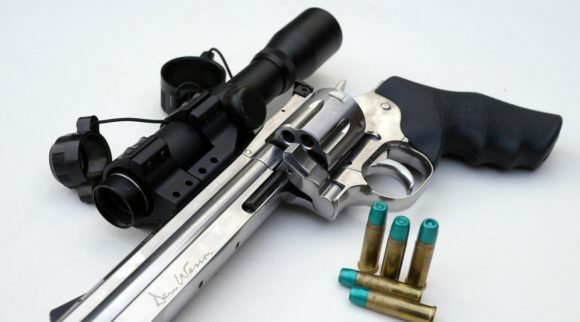 Furthermore, you can even swap out the optic with another optic within a few minutes. Glock MOS pistols come with several different optic mounting plates. Several optics on the following list share a mounting plate while others have a mounting plate specifically designed for them to use. Several factors will play in to why you purchase your red dot sight. Whether you are a competitive shooter, a hunter, or in a more tactical role, there is an optic on this list for you. The following article will explain seven of the best optics for Glock MOS pistol. The first optic on our list for the best optic for the Glock MOS pistol series is the Vortex Venom. 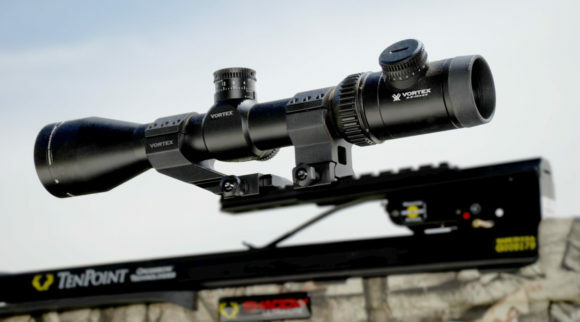 Vortex Optics was started in 2002 in Middleton, Wisconsin. They specialize in quality sporting and tactical optics. They have dealers around the world and make high-quality products. 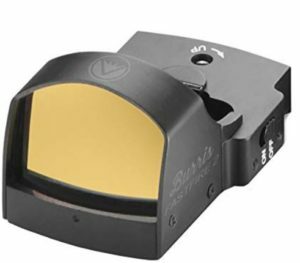 They recently began producing micro red dot optics like the Venom. The Vortex Venom features a 3 MOA red dot reticle. 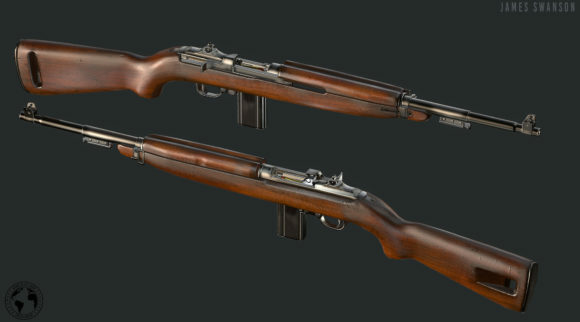 There is also a 6 MOA model available, but this article will cover the 3 MOA version and its features. The Venom has ten brightness levels and an auto-brightness mode. The auto-brightness mode uses an ambient light sensor that controls the dot intensity. This allows the shooter to transition from light and dark spaces without having to take their hands off their weapon to adjust the brightness. The brightness controls are located on the left side of the sight in order to prevent any disruption of the sight picture. The Venom is constructed using one-piece of aircraft grade aluminum. Not only is this optic strong enough to be used on even the most powerful Glock MOS pistol, but it can be used on a shotgun, rifle, or carbine. It features glass that has multiple coats of anti-reflective covering on all air-to-glass surfaces. This increases the amount of light that can pass through the optic. Plus, Vortex has also added their patented ArmorTek coating on their glass. ArmorTek is an ultra-hard, scratch-resistant coating protects exterior lenses from scratches, oil and dirt. The Venom boasts one of the largest objectives on this list. It features a 26.4mm x 16mm objective that is parallax free for quick target acquisition at any distance. 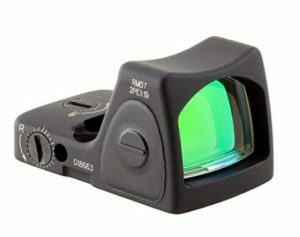 The optic has unlimited eye relief so that the shooter does not have to change their shooting stance or style to match a pre-determined eye-relief distance. The windage and elevation adjustment dials sit flush with the Venom’s housing so that they do not obstruct the sight picture or holstering of the weapon. The adjustments can be made without tools. The optic can be adjusted 100 MOA for windage and 130 MOA for elevation. Each click on the Venom represents 1 MOA. Easy adjustments make this optic a great choice for anyone that is using an optic on their pistol for the first time. The Venom uses a CR1632 battery. The optic has a 14-hour auto-shut down feature that allows the battery to have a 150-hour to 30,000-hour battery life. With the battery installed, the Vortex Venom weighs only 1.1 oz. The Venom is 1.9 inches long by 1.11 inches wide and 1.02 inches tall. It does not take up much room atop your Glock MOS pistol. The optic is o-ring sealed to prevent moisture, dust and debris from penetrating its vital components. The Vortex is reliable in all environments. Even though the Venom has been thoroughly tested and proven to be shock proof, Vortex still backs their product with a fantastic warranty. The Vortex VIP Warranty will repair or replace your optic in the event it is damaged or defective. Vortex does not care about who damaged the optic, they will still replace it. 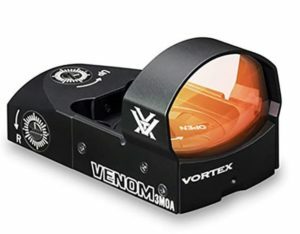 The Vortex Venom is light, compact, and exceptionally durable. There is no question why it is number 1 on the list of best optics for the Glock MOS system. 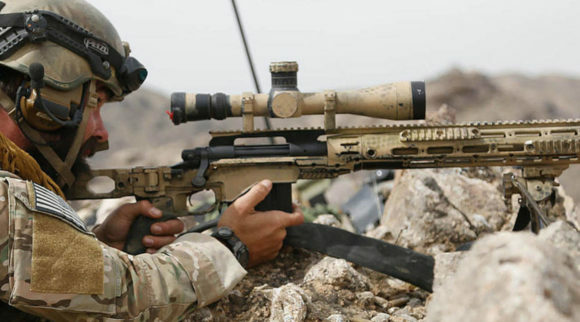 The next optic on our list is manufactured by a company that is well known within the United States military. Trijicon was founded in 1981 and was quickly recognized as a world leader for their use of tritium and advanced fiber-optics. They have earned contracts for the United States Special Operations Forces, amongst many others. Their reputation for quality and innovation is second to none. There is no question why their foray into micro red dots has been so successful. The second optic on our list for best optic for Glock MOS pistol series is the Trijicon RMR. There are several different versions of the Trijicon RMR. Each have unique qualities and varying sizes of reticles. The RMR we will cover in this article is the Adjustable LED RMR with a 6.5 MOA red dot reticle. This optic has eight different brightness settings. Two of these brightness settings are night vision compatible and one of the settings is known as “super bright”. Like the Vortex Venom, it does have an automatic setting that will adjust the brightness based on the light conditions around the shooter. Along with automatic brightness, the RMR features a lock-out button that will prevent accidental adjustments to the brightness setting. The RMR is constructed out of one piece of forged aluminum. The RMR is matte black and would fit perfectly on a Glock MOS pistol. The optic is durable enough to be placed on some of the heaviest recoiling firearms. 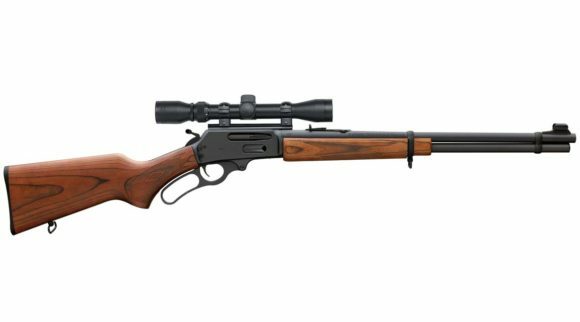 It can be used on shotguns, carbines, and bolt-action rifles. It is versatile enough to be used as a primary optic or a back-up to a magnified optic. 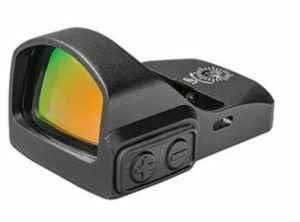 The RMR features Trijicon’s True-Color multi-coated lenses. The coating on the lens creates wide band light transmission for minimal change in the target color. Not having distortion or color changes in the target is important in competition shooting and any situation where positive target identification is absolutely necessary. The RMR has an objective lens that is slightly smaller than the Venom’s, the RMR measures 22mm x 16mm. This optic is parallax free and also boasts an unlimited eye relief. 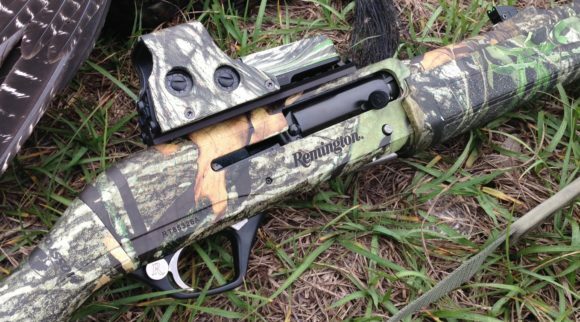 The windage and elevation on the RMR can be easily adjusted without any special tools. They can be adjusted using a fingernail, a coin, or even the tip of a rifle bullet. Both the elevation and windage can be adjusted up to 150 MOA. Having that amount of flexibility makes getting on target easy for a shooter of any experience level. The Trijicon RMR uses a CR2032 battery. The battery has a 4-year lifespan when the RMR is used on brightness setting 4. The RMR does feature a battery conservation mode. The optic will automatically adjust the aiming dot after 16.5 hours of being left alone. The RMR weighs only 1.17 oz. after the battery is installed. The optic is only 1.8 inches long, 1.2 inches wide, and 1 inch tall. Although it is small in stature, it is an extremely durable optic. The RMR has been rated as waterproof down to 20 meters and its special design averts the force of an impact away from the glass lens. Trijicon does not have the best warranty on this list, but they will warranty your RMR for 5 years from the date of manufacture. As stated earlier, Trijicon has multiple military contracts so it is no surprise that their RMR made the list of the best optics for the Glock MOS class of pistols. The next optic on our list is manufactured by a company that has been producing optics for over 4 decades. Burris began manufacturing optics in 1975. Their founder left a scope manufacturing company because he felt he could make more innovative and reliable scopes. Burris has been manufacturing quality magnified scopes and their Fastfire series of micro red dots live up to the quality of their magnified scope line. The third red dot on our list of the best optic for the Glock MOS pistol series is the Burris Fastfire III. The Fastfire III features a 3 MOA red dot. There is an 8 MOA version, but the smaller dot allows for the shooter to be more accurate at longer ranges. The Fastfire III has 3 manual brightness settings as well as an automatic brightness mode. The 3 brightness settings are tied for fewest on this list, but the automatic setting does make the Fastfire III a little more versatile than other red dots. Like the other optics on this list, the elevation and windage adjustments are discrete and out of sight on the picture. Each adjustment click represents 1 MOA which is nearly standard for all of the optics on this list. They are easily adjusted and do not require any special tools. The Burris Fastfire III is constructed of aircraft grade aluminum. It is versatile enough to remove from your Glock MOS pistol so you can put it on a shotgun or a rifle. Its durable construction will not result in any damage due to the higher recoil of these weapon systems. The Fastfire III features Burris’ high grade optical glass that provides excellent brightness, clarity, and durability. The index matched glass is coated by Burris’ patented Hi-Lume® multi-coating. This coating provides exceptional low-light performance and eliminates glare. The Fastfire III’s objective lens is 21mm by 15mm. The glass quality and size keep this optic high on the list of the best optics for the Glock MOS series of pistols. With the battery installed the Fastfire III weighs in under one ounce at just .9 oz. This is an incredibly light optic. The optic is only 1.9 inches in length, 1 inch wide and 1 inch tall. Even though it has a diminutive stature, it is durable enough to be used on pistols, rifles, and shotguns. The Fastfire III uses a CR1632 battery which has a life of up to 5 years. This optic features an automatic time-out feature that shuts down the battery after 8 hours. It is waterproof and shock proof. The Fastfire III is backed by the Burris Forever Warranty so that you can easily get a replacement if anything were to go wrong with this sight. Burris has a fantastic reputation for quality so you will probably break the optic before it breaks down. There is a reason that Burris has two optics on the list of the best optic for Glock MOS pistols. We will discuss their other offering later in this article. The next red dot on our list is made by a company that is just starting to make their way in to the micro red dot market. Compared to the other companies manufacturing micro red dot sights, Truglo is just getting started. They were founded in 1993 and manufacture several fiber optic parts for pistols, rifles, shotguns, and bows. Their micro red dot production has only begun recently, and their first offering has made the list of best optics for the Glock MOS pistol series. That is not a small accomplishment for a young company. It will be exciting to see what other offerings they produce in the near future. The Truglo TRU-TEC Micro is the first, and currently only micro red dot manufactured by Truglo. It features a 3 MOA red dot reticle with 10 brightness settings. Unlike the other red dots on this list, it does not have an automatic setting. The shooter will need to determine which setting is the best and use that until they have a break in order to change it. It does have convenient buttons to change the brightness setting, but it does require the shooter to take a hand off of their weapon in order to change. A minor inconvenience, but something that does set this sight apart from the others on this list. The TRU-TEC Micro is constructed using CNC machined aluminum and features multi-coated glass. The glass is durable and clear. This red dot has one of the larger objectives on this list. The objective is 23mm by 17mm. Like the other optics on this list, the windage and elevation adjustments are made in 1 MOA clicks. The TRU-TEC Micro does allow the shooter to lock in their adjustments so that they do not change under heavy recoil. 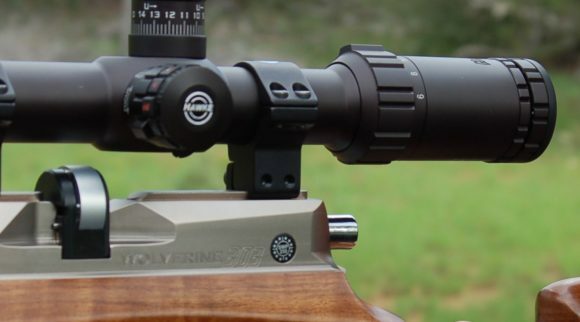 The adjustment screws are conveniently located and out of the shooters field of view. The TRU-TEC Micro includes a CR2032 battery and with battery installed weighs just over 1 ounce. This sight is o-ring sealed to make it waterproof and it is also fog proof. Plus, it is light weight and can be used on Glock MOS pistols, rifles, or shotguns. The aluminum body is shockproof and is backed by a 3-year limited warranty. The next red dot on the list of the best optics for the Glock MOS pistol series is made by a company with a long history of making quality optics for all platforms. Leupold was founded in 1907, but it wasn’t until the 1940s that they began manufacturing rifle scopes. They continued to manufacture scopes and entered the tactical market in 1985. 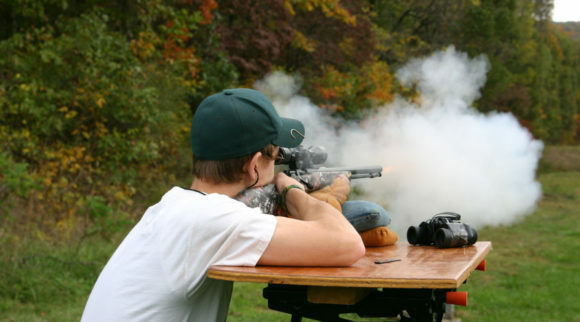 Their scopes are durable, reliable, and can fit the need of any shooter. Their attempt at making a micro red dot has been a successful venture for them. The fifth red dot on our list of the best optics for the Glock MOS series is the Leupold Delta Point Pro. The Delta Point Pro features the smallest red dot reticle on this list. The red dot is only 2.5 MOA. This small dot will help competitive and tactical shooters identify their targets at longer distances. Getting accurate shots on your identified targets is very important no matter the situation and Leupold understands that. The Delta Point Pro is constructed using aircraft grade aluminum. 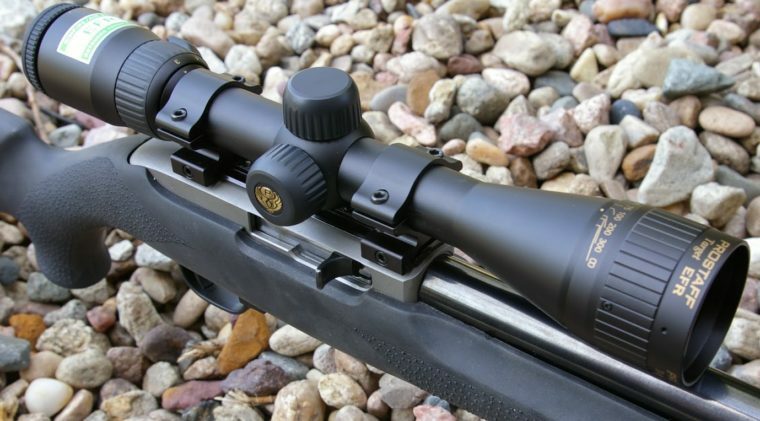 The glass of this optic features Leupold’s trademarked DiamondCoat lens coatings. This lens coating provides a high amount of abrasion resistance. It also helps the shooter score a flawless sight picture under even the hardest use of the optic. The objective of the Delta Point Pro is 25.7mm by 17.5mm. This is by far the largest objective of any red dot sight on our list. Like all of other sights on our list, the windage and elevation adjustment points are discrete and out of the shooter’s field of view. The Delta Point Pro can be adjusted in 1 MOA increments. This sight uses a CR2032 battery. 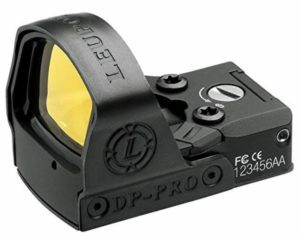 The Delta Point Pro features Leupold’s proprietary motion sensor technology. If the optic does not sense movement after 5 minutes, it will automatically go in a sleep mode to conserve battery life. With the battery installed the Delta Point Pro weighs 1.95 oz. which makes it one of the heaviest optics on this list. The optic measures 1.82 inches long, 1.3 inches wide, and 1.3 inches tall. It is sealed in order to make it water and fog proof. The Delta Point Pro is a versatile sight. It can be used on rifles, carbines, shotguns, and Glock MOS pistols. It is guaranteed to be shockproof but is also backed by a good warranty. The Leupold Gold Ring Full Lifetime Guarantee will repair or replace the optic in the event something goes wrong with it. Leupold has a long history of quality optics and the Delta Point Pro is no exception to that history. You can buy this optic with confidence knowing it will be just as reliable as the Glock pistol you place it on. The next optic on the list of the best optic for Glock MOS pistols is another version of an optic previously mentioned on our list. As mentioned earlier in this article, Burris has been making optics for nearly four decades. They are constantly working to improve their products. The Fastfire III was the second optic on our list and the Fastfire II lands at number six on our list of best optics for the Glock MOS pistol series. 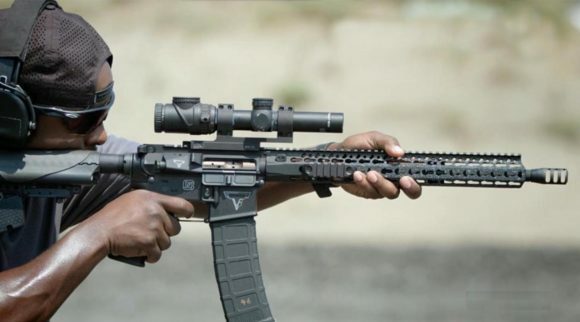 Having two optics on our list shows that Burris is serious about making quality optics for all types of shooters. The Fastfire II features a 4 MOA red dot reticle. One of the reasons this sight lands near the end of our list is the fact that it does not have any brightness settings. You simply turn it on, and you have to rely on it automatically adjusting the brightness of the dot. Although some people may think of this as a convenient feature, others may want the ability to adjust their dot brightness, say for instance due to eyesight issues. One thing that the Fastfire III kept from the Fastfire II is the quality glass lens. The Fastfire II also has the Hi-Lume® multi-coating that provides unparalleled light transmission and clarity. The Fastfire II’s glass allows it to perform well in low light areas due to its high amount of glare elimination. The Fastfire II features an aluminum housing with conveniently located windage and elevation adjustments. These adjustments can be made without any special tools and without removing any piece of the optic. The Fastfire II is adjusted in 1 MOA increments like nearly all optics on this list. This optic uses a CR2032 battery which has a long battery life. The optic weights only .9 oz. and is 1.8 inches long, 1 inch wide, and .9 inches tall. With its short height, the objective is not very large which keeps this optic near the end of our list. In addition, the Fastfire II is waterproof and shockproof. 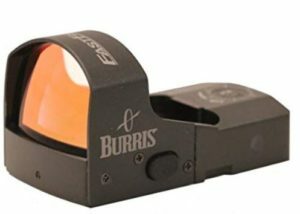 It is backed by the Burris Forever Warranty which will repair or replace the optic if any malfunction were ever to occur. With two red dots on the list of the best optic for Glock MOS series pistols, Burris shows that they are constantly improving their products to make them the best. 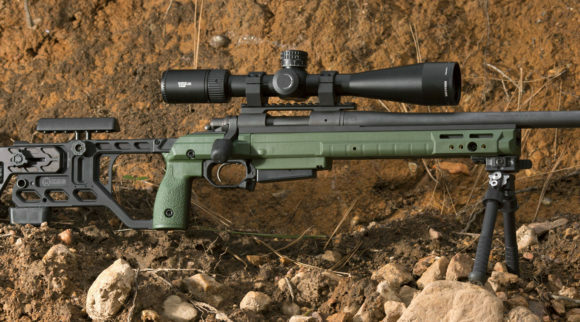 The next red dot optic on our list is manufactured by a company known for its pistol quality. It is hard to believe, but the next optic on our list came from a company that started out making wagons. Sig Sauer was originally founded in 1853 and began making firearms in 1864. It was not until 2015 that Sig Sauer began making optics for pistols, rifles, and shotguns. In under 5 years, Sig has landed a red dot sight on the list of the best optics for Glock MOS pistols. 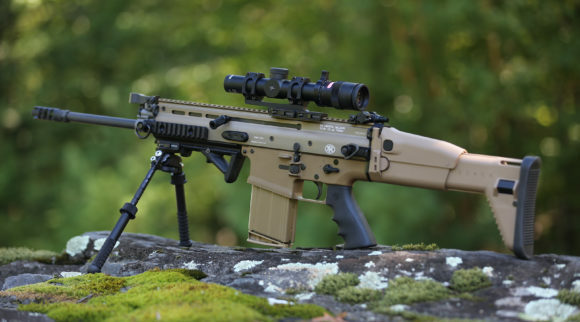 The last optic on our list is the Sig Sauer Romeo 5. It is not a micro red dot like all of the other red dots on this list. It is 2.47 inches long, 1.5 inches wide, and 1.5 inches tall. It is 5.1 oz., which makes it nearly 5 times heavier than most sights on this list. The Romeo 5 has a 2 MOA dot with 10 different brightness settings. Two of the sight’s brightness settings are night vision compatible. The Romeo 5 has an objective that has a 20mm diameter. The glass lens of the Romeo 5 has a high-performance coating that allows excellent light transmission and red dot contrast in all situations. The sight features capped windage and adjustment knobs that can be adjusted in .5 MOA increments. 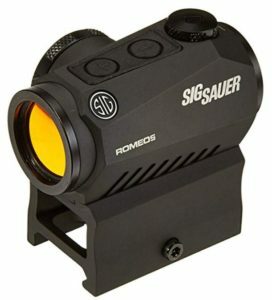 An interesting feature of the Romeo 5 is Sig Sauer’s patented MOTAC (Motion Activated Illumination). The optic will power up when it senses motion and powers down when it does not. This feature will allow the CR2032 battery to last up to 40,000 hours. The large Romeo 5 is capable of withstanding the recoil of any Glock MOS pistol, rifle, or shotgun. It is rated to be waterproof up to 1 meter and is fog proof. Sig Sauer backs up their red dots with the Sig Sauer Electro-Optic Infinite Guarantee. Sig Sauer will repair or replace the optic if it is damaged or if it malfunctions. Sig Sauer makes quality optics that are durable and versatile. The only reason this sight is not higher on the list is purely about its larger size. Glock MOS pistols are reliable pieces of equipment. They should be used in conjunction with a reliable red dot sight. All of the sights on our list of best optic for Glock MOS pistols are quality products. I wouldn’t be disappointed with the purchase of any of these products. Whether you are buying your product based on the manufacturer’s reputation or reticle size, there is a sight on this list for you.